Is procrastination robbing you of the opportunity to achieve your greatest goals? Do you want to know how to reach your professional and personal goals seamlessly? This audiobook is narrated to show you how to enhance your productivity and get things done quickly and effectively so you can increase your success in all areas of your life. 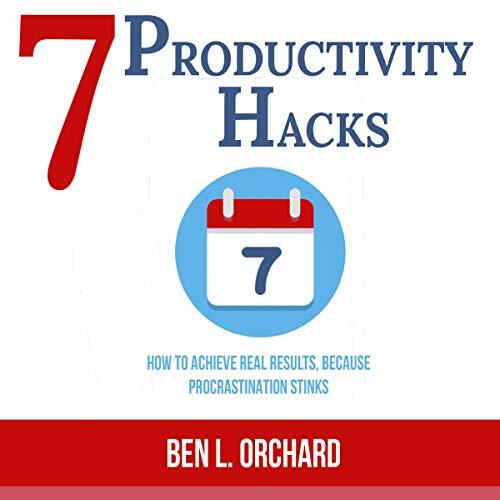 Within this audiobook, author Ben L. Orchard reveals real and powerful tips with exceptional productivity hacks that will help you achieve your business and personal goals faster. With this audiobook, staying on top of things and achieving your goals will become a breeze. Whether you're a student, entrepreneur, or even a stay-at-home parent, you’ll learn how to be productive with your time without sacrificing your social life and the freedom you cherish. You’ll be amazed at how simple and easy it is to get real results and achieve your entrepreneurial or personal goals with this audiobook.